When I was a DJ at Bridgewater State University’s WBIM 91.5 FM, I had a lot of fun hosting Pedal To The Metal every Thursday or Friday night depending on how the cards landed. I played every imaginable 80’s metal track you can think of on my two year run there and I had a lot of fun doing it. 21 years ago, WBIM FM started hosting the Alumni Takeover where for one weekend, the DJ’s from the past years were able to come and relive old glory days even if it was just for one day. Four years ago, when I learned that I could be apart of it, I jumped at the chance to reconnect with some familiar faces and meet new faces that had sat in the very chair just as I had done when I attended school there. Sometimes, you don’t know how much you’ve missed it until you’re right behind the microphone like I was this past Friday night for the fourth ever return of Pedal To The Metal on Alumni Takeover Weekend. Once again, I want to take the time to thank John Coombs, he is the man who deals with all of our annoying requests and messages as he tries to strategically place everyone in a time slot. Oh by the way, he does an amazing job doing it as I couldn’t have been more pleased with my time slot. So, a big thank you to him is much deserved! I also want to take the time to thank the current DJ’s at WBIM for giving up their shows and allowing us to relive a little past glories. It is much appreciated! One of the cool things about this year’s takeover is that this was the first Alumni Takeover to be held at the new satellite studio for WBIM which was pretty exciting. On the Saturday edition of the Takeover, they were holding a ribbon cutting of the new studio with University President Frederick Clark. 5. Killahead (Live) by W.A.S.P. If you are reading the headline, then you know that it’s absolutely true that my old radio show from my days at Bridgewater State University is coming back for one night only. That is not a mistake because every year, the college holds it’s annual Alumni Takeover during the school’s Homecoming weekend which allows some old alums to come back and host a show for an hour or so. For the last three years, I have had some fun wracking my brain to come up with a playlist that I thought you would enjoy as well, but this year it’s going to change. I think every year, I am going to pick a theme and I am just going to run with it. 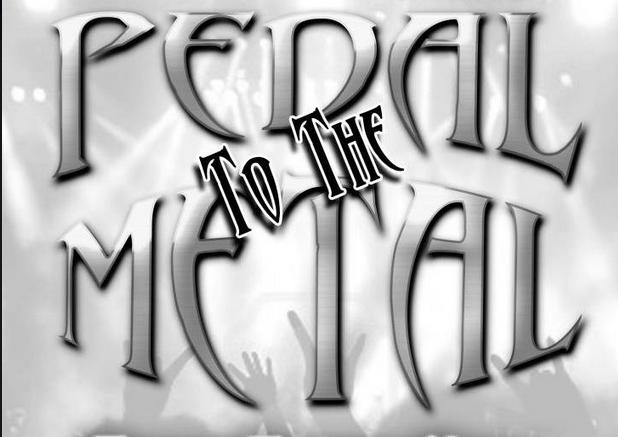 This year, I have something special planned out for you guys, but you’ll have to wait and just wonder exactly what Pedal To The Metal Fest is all about. I do not have the exact day and time I am going to be on, but you should know that Alumni Takeover weekend is October 12TH and 13TH. Stay tuned here because as soon as I find out what time I’ll be on, I will let you guys know here and on the Facebook page. When I was a DJ at Bridgewater State University’s WBIM 91.5 FM, I had a lot of fun hosting Pedal To The Metal every Thursday or Friday night depending on how the cards landed. I played every imaginable 80’s metal track you can think of on my two year run there and I had a lot of fun doing it. 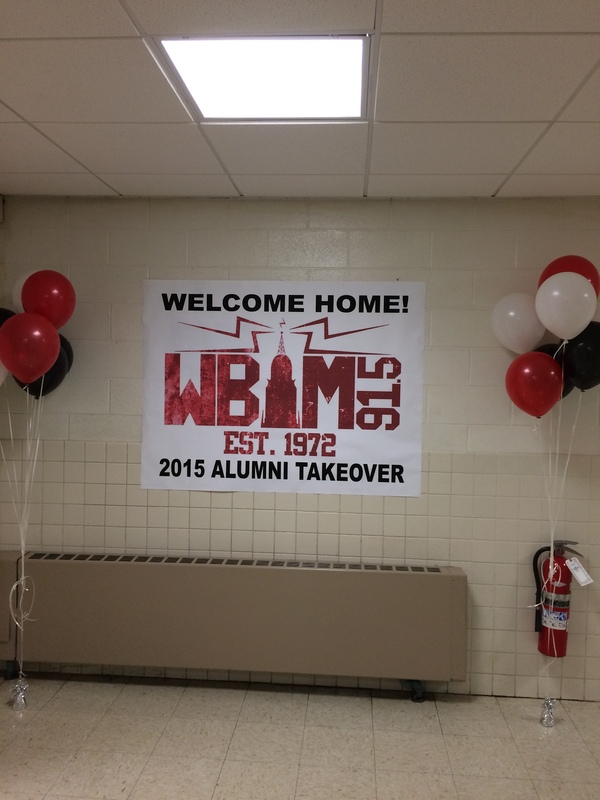 20 years ago, WBIM FM started hosting the Alumni Takeover where for one weekend, the DJ’s from the past years were able to come and relive old glory days even if it was just for one day. Three years ago, when I learned that I could be apart of it, I jumped at the chance to reconnect with some familiar faces and meet new faces that had sat in the very chair just as I had done when I attended school there. Sometimes, you don’t know how much you’ve missed it until you’re right behind the microphone like I was this past Friday night for the third ever return of Pedal To The Metal on Alumni Takeover Weekend. I want to take the time to thank John Coombs, he is the main who deals with all of our annoying requests and messages as he tries to strategically place everyone in a time slot. Oh by the way, he does an amazing job doing it as I couldn’t have been more pleased with my time slot. So, a big thank you to him is much deserved! I also want to take the time to thank the current DJ’s at WBIM for giving up their shows and allowing us to relive a little past glories. It is much appreciated! As far as the playlist was concerned for the show, I had three different playlists that I was going with for the show. The 1st one primarily featured almost the same exact lineup as the one that was actually played. 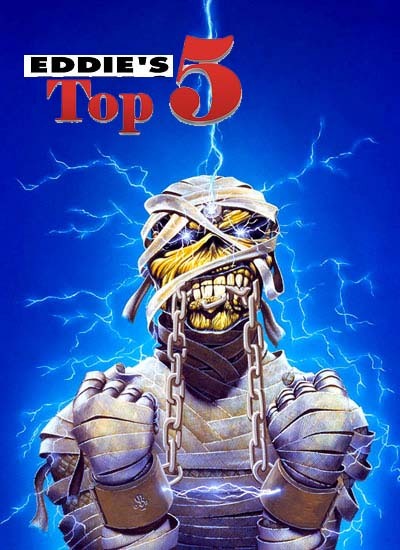 The second playlist featured bands from every era of metal whether it be the 70’s, 80’s, 90’s, and beyond. The third and final playlist that I created was similar to the first one, but the song selection was different. I wanted to pick nine solid songs for the show with one present that I would present to people with a just in case I still had more time track. Last year, I presented everyone with a Black Sabbath medley that featured I believe three different Sabbath singers doing the same track. This year, I decided to do another medley, but this time it would be Ozzy solo and it would feature five different guitarists doing the same track. It was quite the difficult task, but I got the job done and you will see below what the result was. I made one minor adjustment to the playlist twenty minutes to my show because a good friend of my mine in Doc Rock found a vinyl that I just couldn’t resist playing and I opened the show with it. One minor note, I had originally scrapped a Motley Crue track, but I reintroduced it when the Kiss track I chose suddenly stopped due to technical difficulties. So without further ado, check out the playlist below and once again thanks to everyone that tuned in and a big thank you to the WBIM Alumni Association for having me yet again. Last night was Alumni Takeover Weekend over at Bridgewater State University’s radio station WBIM 91.5FM. The reason it’s special and why I did a show is because that is my Alma Mater and I was a DJ at the radio station where I hosted the show Pedal To The Metal. It’s a tradition that has been going on for some time at the school during Homecoming weekend where alumni of the station will come and take over the station for a weekend. It’s an awesome tradition that I wish was more than just one weekend a year because it’s so nice to run into some familiar faces and hear some stories from some of the guys that came before you. I want to go ahead and thank John Coombs for putting this together once again and I hope he feels better, it wasn’t the same without him there. I also want to thank the school for allowing us to do this and the current staff at WBIM for allowing us to come and takeover the station from them. Here is my playlist from that featured a special Black Sabbath medley (of sorts). 7. Babylon’s Burning by W.A.S.P. * Vocalist Medley featured Ozzy Osbourne, Tony Martin, and Ronnie James Dio on the same track. In December of 2012, I had my very last radio show at Bridgewater State University’s WBIM 91.5 FM station and it was sad because I didn’t know what I was going to do with my future. For two years, I ran the show Pedal To The Metal where I played everything from 80’s Hair Metal to today’s metal and it was a lot of fun. Well, every year for homecoming the radio station hosts an Alumni Takeover where various alumni from over the years come back to rock out for one weekend and your’s truly is one of them. So, for one hour only, I am putting the metal back in the M of WBIM as I take over from 2PM eastern time until 3PM Eastern Time. If you want to listen into the show because maybe you don’t live anywhere near Bridgewater, Massachusetts, you can do so by clicking here. Listen to all of the shows starting at 8AM, but tune into mine especially from 2PM ET until 3PM ET. I may also be doing a special giveaway of the digital copy of Paranormal Activity since the brand new Paranormal Activity: The Ghost Dimension is out in theaters right now. You’ll have to do two things in order to find out with one of them being to listen in and the other to follow me on Twitter @ERaticWanderer. I hope that you guys will be listening in later today to the show to hear some cool metal and get a cool prize (well, you’ll find that out later today). 5. The House Of 1000 Corpses– Rob Zombie in my opinion is a true icon because the man has done everything from comics, movies, and music. This was his first feature length film and I was so obsessed with it that I have gone to the movies the first day a Rob Zombie film comes out. I mean think about it for a second here, I did a 25 page thesis paper on Rob Zombie for my senior thesis. If that doesn’t read that O am a Zombie fan, then I don’t know what will. 4. The Texas Chainsaw Massacre 2– Two words explain my love for this film and those two words are Chop Top. Chop Top was one of the most colorful characters portrayed by Bill Moseley and he did such an amazing job playing a complete screwjob. Leatherface was more prominent and there in this film and the sets were absolutely crazy. This film still makes an impact on my life, let me explain: When I was a radio DJ at my Alma mater Bridgewater State University, I used to get scared working there at night cause I thought some whack job would come in with a chainsaw and kill me. 3. Friday The 13TH Part 8: Jason Takes Manhattan– At this point I wasn’t afraid of horror movies any longer, but out of all the films this one was always my favorite of them all. I loved it because it was the first film to take Jason Voorhees completely out of his element which was Camp Crystal Lake ad he’s in the city that never sleeps. 2. A Nightmare On Elm Street Part 3: The Dream Warriors– I was in love with Patricia Arquette back in the day and this was honestly the first film in the series that I had ever watched and I went to bed with nightmares. I was afraid Freddy was going to kill me in my dreams so I tried to stay awake as much as I can, but that obviously didn’t work. 1. Halloween – The 1978 John Carpenter classic for some reason got imprinted into my head. It was the first horror film that I watched in amazement and it was the first film that made me say I love horror. I always though Michael Myers was a true icon of horror and he is definitely my number one on this list.